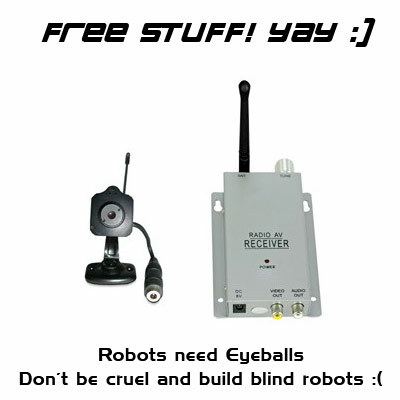 Security Camera Warehouse emailed us to mention they are giving away free cameras as a promotion and asked if we knew anyone who might be into that. Well, yeah, we sure do! We love telling our readers about free stuff and we think their promotion which helps education is pretty awesome. So here are the deets. Security Camera Warehouse, a video surveillance systems company, is giving away security cameras for educational purposes as part of their Securing the Future initiative. Any group dedicated to educational advancement of youth and young adults can apply. SCW specifically includes any school sponsored and club level teams, but also mentions that they will be rather liberal with the rules. Any group dedicated to science education for college age and younger students can apply. Each group is eligible to receive one camera up to a value of $150. They are giving out the cameras in a first come first serve fashion. To apply and see the eligible cameras please visit Security Camera Warehouse’s Securing the Future Program. Thanks for thinking of our community SCW!